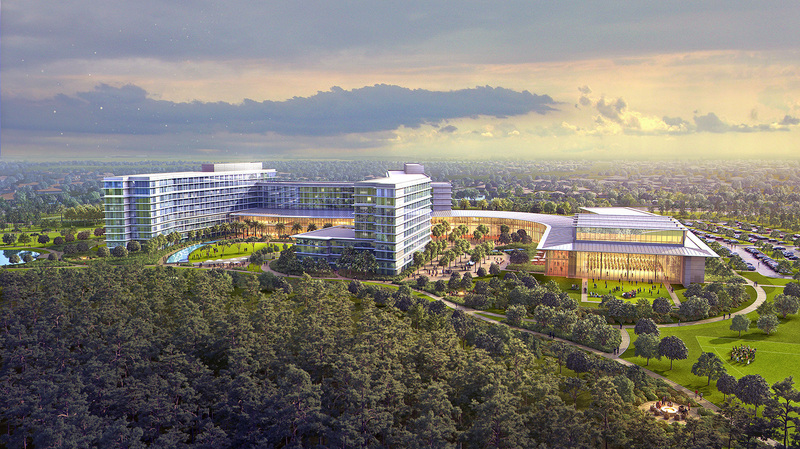 KPMG LLP has selected DPR Construction as the general contractor for its new $400 million learning, development, and innovation facility in Lake Nona (Orlando), Florida, which will further enhance the world-class training capabilities the firm offers its partners and professionals. The DPR team is responsible for all construction and work-site management, including a commitment to deliver the project on schedule and within budget. Bill Flemming, KPMG’s managing director and head of construction management, will oversee DPR’s efforts. Headquartered in Redwood City, California, DPR ranks among the 20 largest contractors in the United States according to Engineering News-Record. DPR counts among its clients Facebook, Pixar, Novartis, JW Marriott, and the University of California at Berkeley. “Our state-of-the-art complex is a large investment in our people and devotes space to an innovation center to support both training and client engagement as well as meeting, classroom, residential, and dining facilities,” said David Turner, chief financial officer. The campus also will boast a heritage center to highlight KPMG’s rich history and culture. “DPR’s broad experience and cutting-edge approach to corporate office, campus, and hospitality projects dovetail exceptionally well with the nature of our campus,” said Flemming. DPR is extremely familiar with the Lake Nona community and its master developer, Tavistock Group, having served as contractor for a number of projects there, including the recently completed United States Tennis Association National Campus. Notably, DPR has collaborated on nearly 500 projects with Gensler, KPMG’s design firm for the campus. “DPR’s strong working relationship with Gensler helps ensure that our design vision is executed with the highest quality and greatest attention to detail,” said Flemming. Meanwhile, KPMG has begun land preparation and mass grading on the 55-acre site, with plans to lay the foundation over the next 90 days. One of the largest general contractors in the nation, DPR Construction specializes in technically complex and sustainable projects for the life sciences, healthcare, higher education, and commercial markets. Founded in 1990, DPR is a privately held, employee-owned company with offices across the United States and overseas. Revenue last year totaled some $4 billion. DPR made FORTUNE’s “100 Best Companies to Work For” list five consecutive years and #3 on Florida Trend’s Best Companies to Work for in Florida, 2017.